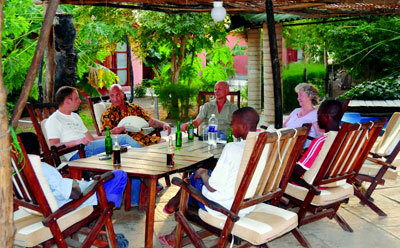 Footsteps Eco-lodge is located in the bush about an hour from the main tourist area of Senegambia. 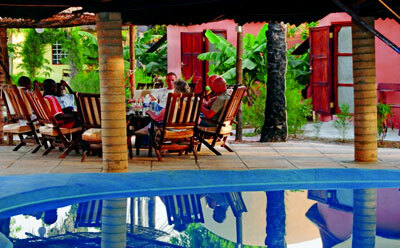 This traditional African lodge is perfect for guests looking to experience the ‘real’ Gambia. Read Andy’s blog and see what he thought about his incredible stay at Footsteps – All Smiles in Africa. The lodge prides itself on its eco-friendly lifestyle, and uses a variety of local and home-grown produce in its extensive restaurant menu. The compound has a real family atmosphere, with the on-site Bantaba the perfect place to unwind and get to know other guests. If you’re looking to explore the stunning forest surrounding the complex you’ll find a secluded sandy beach about half an hour away, perfect for those relaxing days spent enjoying the warm Gambian sun. Accommodation is built in the style of traditional Gambian roundhouses, with each providing en-suite facilities and terrace area. A great lodge away from it all. 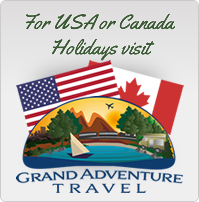 This resort is a great place, very laid back and friendly. 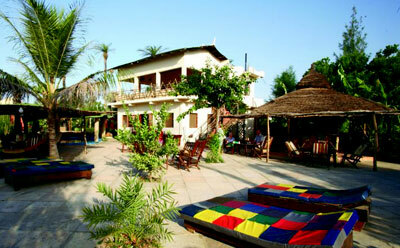 Located near Ganjur a hour from the main tourist areas. 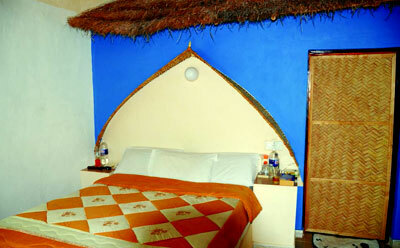 A Roundhouse for up to 3 adults consists of Twin beds or double bed, bathroom with shower, and terrace. Cabin for up to 6 adults consists of 2 double bedrooms, a bathroom with shower and wc a seperate lounge plus a terrace.